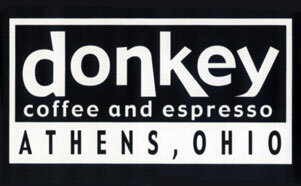 The card that keeps on giving, Donkey Coffee gift cards are also “loyalty cards” and can be used even when the money run out. Buy 10 drinks and your next drink is FREE! Cards are available in any amount up to $200. Give the gift of Donkey — or treat yourself! Unless directed otherwise by the customer, it’s our policy to write the amount of the gift card being purchased on the gift card sleeve and leave the “to” and “from” sections blank to be filled out later. We are happy to fill these in if directed. We are also glad to include any messages you want us to write. Love Donkey, but it’s frustrating that there’s no way to check the balance of a gift card online.